Ah! A fresh start, a new year! New faces are at Hogwarts, and old ones are back. Despite being back with friends, there's one annoying thing that might put a downer on the start of the new year. Homework! It's a well known fact that at the beginning of the year teachers like to make students do a lot of homework so that they get used to it for the rest of the year, this rule goes for Hogwarts too, so maybe we should find somewhere to start studying, before the first tests arrive? To make this easier, I will take you through a tour of a few rooms you could study in, along with a recording of each room. Just click on the link, listen and read ! When mealtimes are over, the hall can be used for studying. Of course, studying here can be quite hard. There's chitter-chatter, glasses of water being poured, people coming in and out. But the turn of a page, the crackling of the candles makes everything seem calm and homely. Everyone here is studying lightly, not to hard, but just enough. It's good for people who need help, they can ask their fellow housemates or any teacher that happens to be supervising. Here's more like it. There's a vague sound of chatter, but the crackling fireplaces drown it out. The drips from the spring rain outside really get you into a working mood. It's almost enjoyable studying for homework here. There's a indistinct purr, like as if the bookshelves were humming, happy to be used. People's footsteps echo through the corridors, and the pages turning almost make you sleepy... Maybe we should go somewhere that'll wake you up a bit more? 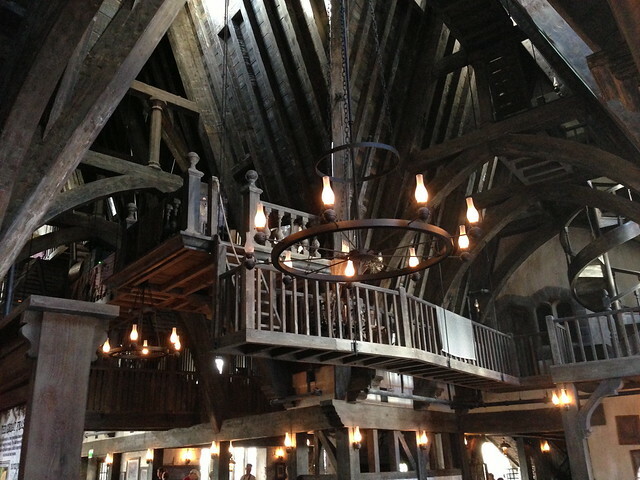 Ah... the Three Broomsticks Inn. The noises all mix up to make one loud baffle, but it's exactly what you need! Some white noise to make you focus on your work, along with a nice cup of Butterbeer? How perfect is that? The chink of glasses ring through the Inn, and the calm strum of a guitar are perfect. We can here laughter, and catch some words from conversations: '...did you know that...' or 'guess what...' It's calm, it's nice, but it's also quite warm and stuffy after a while. Time to get some air? Of course, there are many other places you can study at Hogwarts, but these four are perfect. Depending on your mood, or how hard you want to study, one of them should do you just fine! Remember to keep studying! Spinks Potter Thank you for this. Felix Adelphia Ah not homework! Thanks for the advice, I think for my next assignment I will go to one of those places!